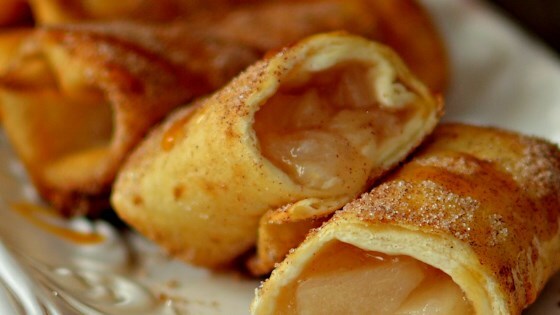 "Apples rolled in flour tortillas. VERY delicious, easy and fast to make. Substitute apples with peaches or cherries if desired." absolutely delicious! i used a little more than half the brown sugar, and half the white sugar and water. my sauce came out quite thick and caramely! wonderful!